What happens if I overfeed my aquarium fish? 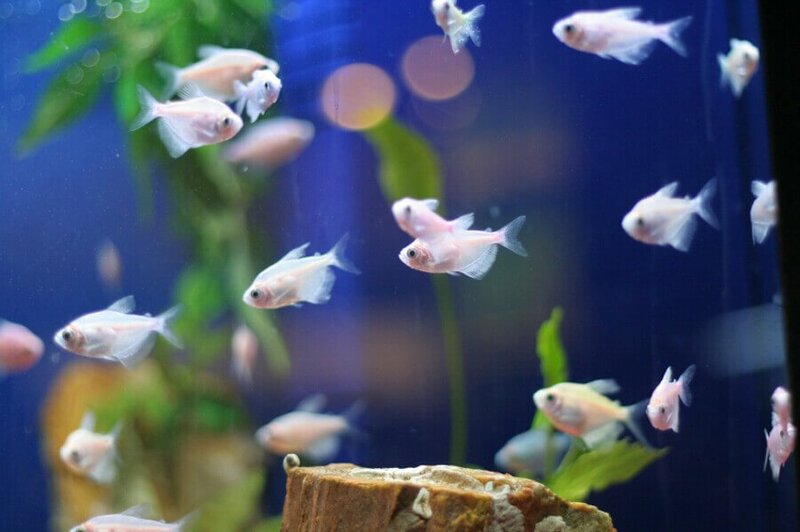 Overfeeding is one of the most common mistakes made by fish keepers. The consequences of overfeeding may not be immediately clear. Unlike a dog or a cat, an overfed fish usually doesn’t show the typical signs that tip us off that a diet may be in order. Recognizing the negative impact of overfeeding fish is a bit of a murky affair… literally! 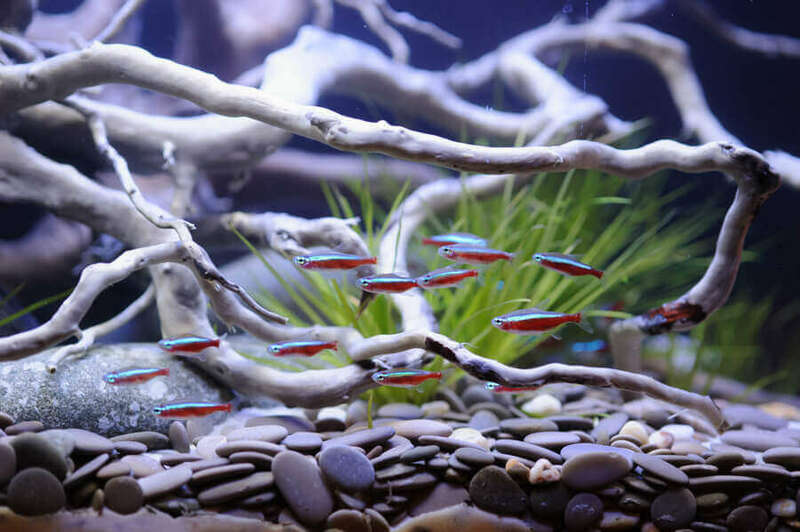 Often it isn’t until our aquarium is afflicted with cloudy water, green water, or excessive algae growth that we realize we have a problem. Understanding what caused these problems requires us to connect the dots. Too much food is the primary cause for accumulating organic waste in the fish tank. 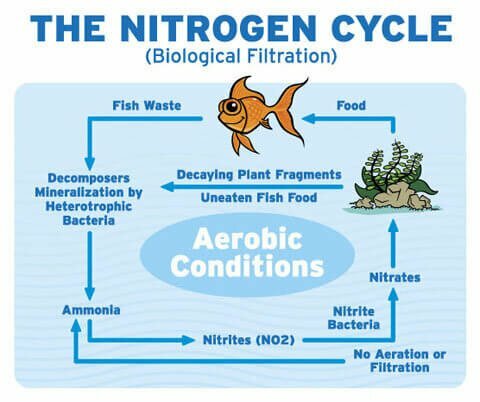 Beneficial bacteria break this waste down into ammonia, nitrite, and eventually nitrate through a process called the nitrogen cycle. The reality is that cold-blooded fish digest food over longer periods of time then mammals do. This should be considered when feeding. Fish simply don’t require three meals a day. In most cases feeding an amount the fish can eat in one minute, once per day is adequate. 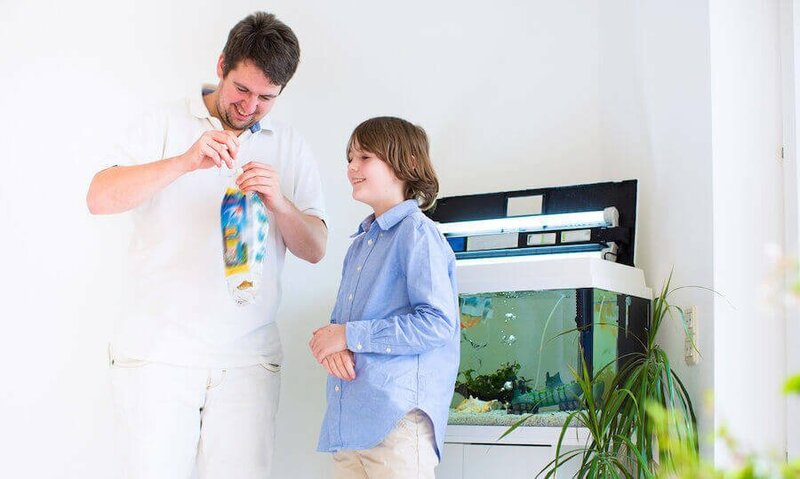 When our aquarium is out of balance due to the consequences of excessive waste as outlined above, we may even consider feeding only once every other day until the tank can be brought back into a healthy balance. Remember that the nutritional requirements of fish vastly differ from ours. 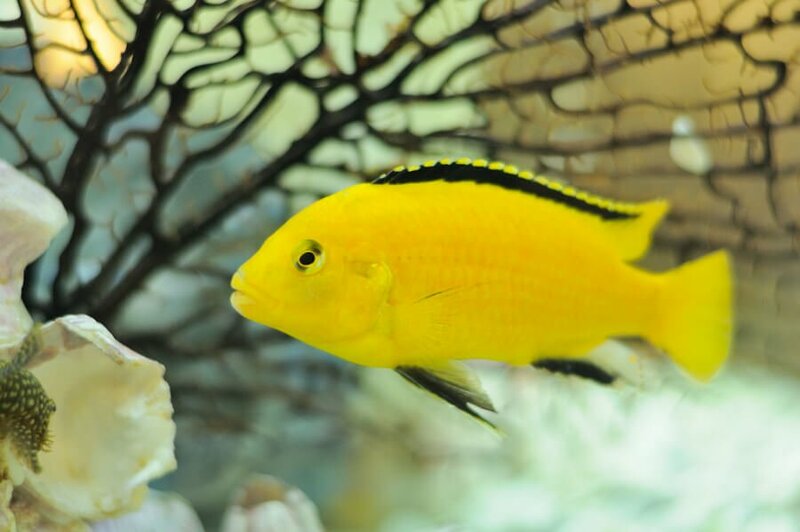 Aquarium fish suffering from malnutrition due to a lack of food is virtually unheard of. 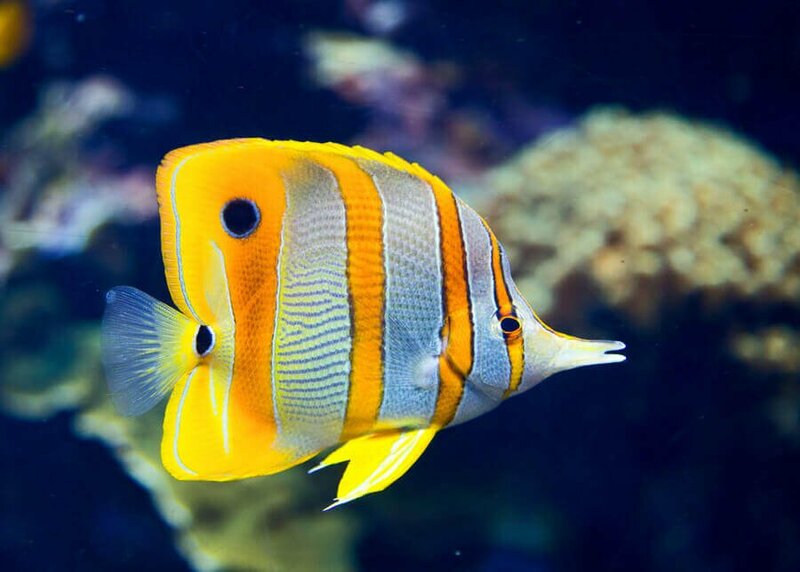 Fish suffering from the negative consequences of overfeeding, such as ammonia poisoning or oxygen depletion is not at all uncommon. I have five jack Dempsey small fish a one sicker fish and I put to much fish food in the tank about 2 days ago. The pellets have soften and are at the bottom of the tank. I removed what I can but there are still some floating food particles I assume. What should I do? The best thing is to go in there with a siphon and remove as much as you can. There shouldn’t be an imminent threat, but problems will occur if the food is left to rot in the tank. 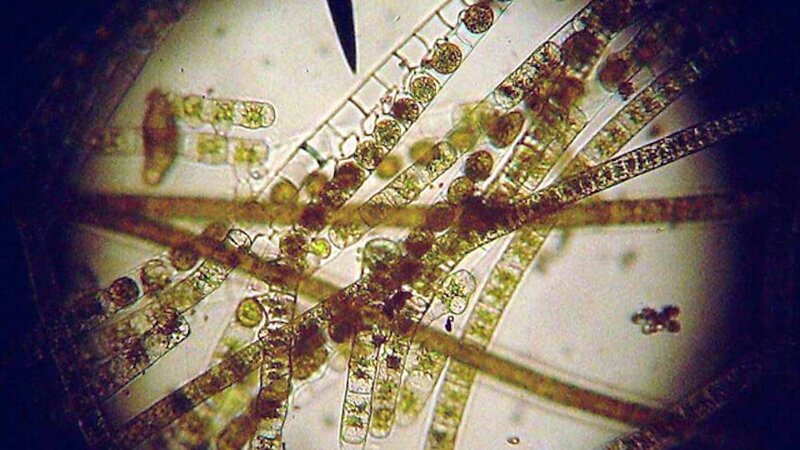 This will result in nutrient spikes and can cause an algae outbreak due to poor water quality. I recommend siphoning every 2 – 3 days until you feel you’ve removed most of the extra food. Floating and sinking pellets and once in awhile some frozen food. Feed whatever the fish can eat within one minute. This is the daily ration. You can split the ration in half and feed twice a day if you so desire.There is no need for preemptive medication. 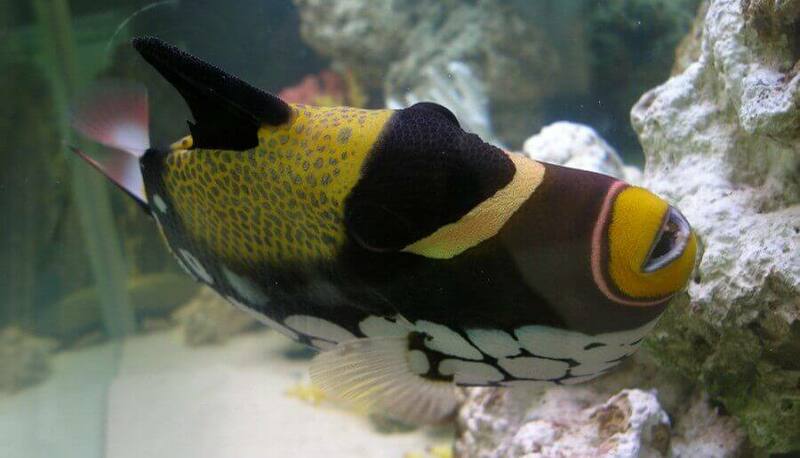 For sick fish, always use medication that is specific to the disease. Water changes are essential 10-15% every other week will do. The fish food shouldn’t pose an immediate problem when it was dumped into the tank. 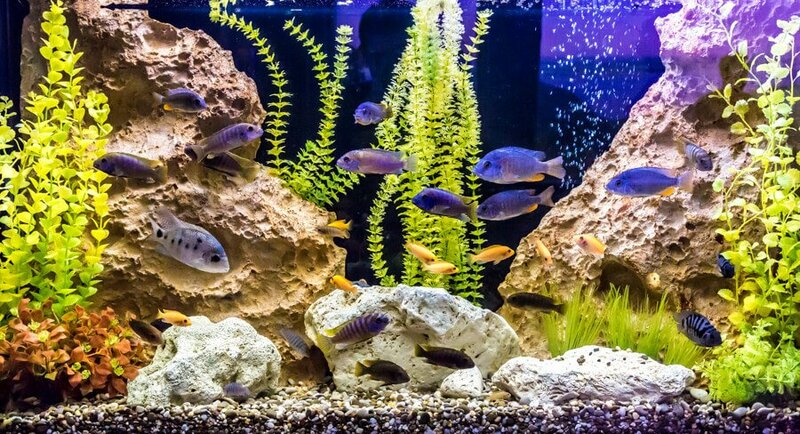 The problems arise when too much is left to decay in the aquarium, inevitably resulting in ammonia, nitrite, and nitrate spikes. An algae outbreak is then also more likely to occur because of the high nutrient concentration. Your best bet for finding your goldfish is to carefully remove any ornaments, decorations and plants in order to find the fish. Sorry, but I don’t know of an easier way of doing it. Good luck with the tank. Hopefully it al works out. What if the water is cloudy? What do I do then? 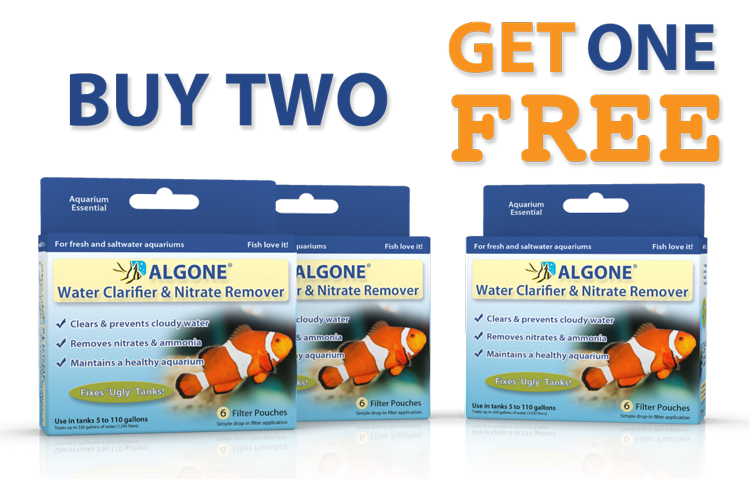 Please also check out Algone Aquarium Water Clarifier & Nitrate Remover. 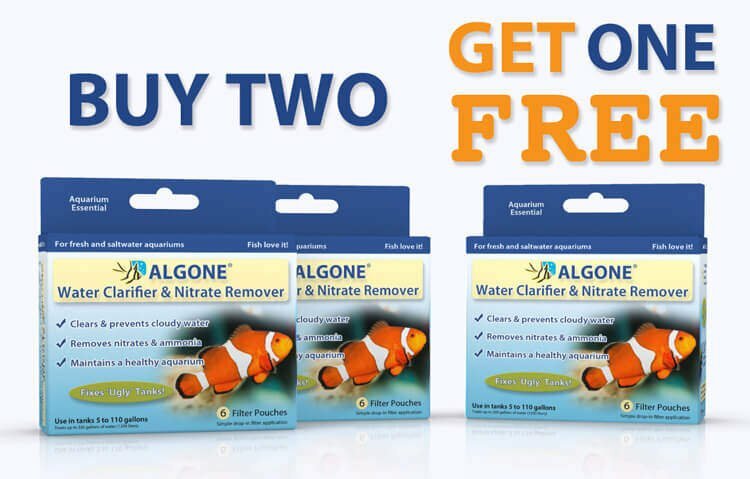 Algone has become a staple for aquarium maintenance, water clarification, and nutrient control. 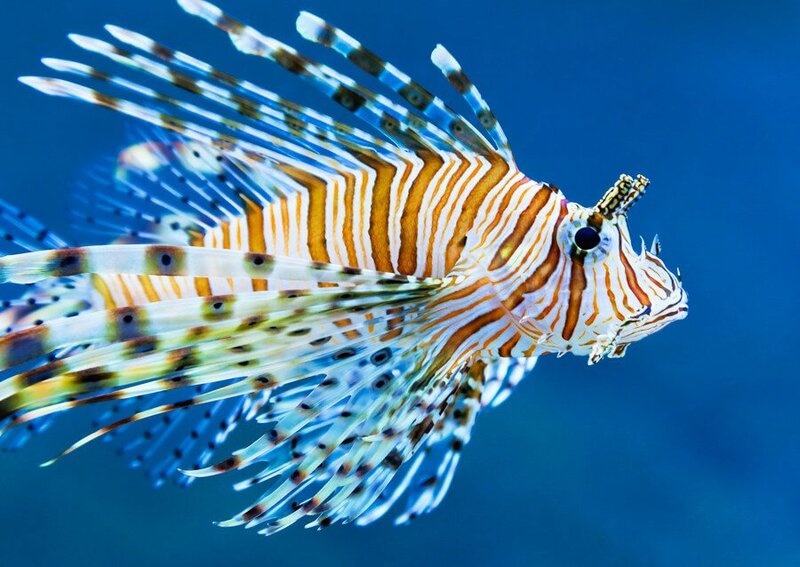 Do you just not feed the fish or something for your aquarium to clear up? Because you weren’t very clear on what to do.